Agents and Realtors in Adams County Central WI. Adams County is just north of Wisconsin Dells in between I-39/51 & I-94 giving both visitors and vacationers easy access to the whole county. Adams county is primarily a farming and recreational area do to its many small fishing lake, rock formations, parks, miles of ATV routes, Snowmobile trails, thousands of public land, golf courses, and home to Wisconsin's 2nd and 4th largest lakes; Petenwell and Castle Rock Lake. More Lakes in Adams county, WI. Adams County, WI - Places, Sites and Things to Do! Adams Real Estate market has become more and more popular over the last couple years do to central location to several large cities. Here you can find Adams County Homes & Land for sale! But more importantly the thing visitor and vacationer can see and do in the area. There are several great fishing lakes, hiking trails, snowmobile trails, local events, thousands of acreage of land open to the public, golf courses, parks, beaches, craft stores, rock formations and restaurants for fine dining. Adams County Website - Here you'll find information about Adams county, historical sites, businesses in the area, calendar of events, Lake Petenwell, Castle Rock Lake, seasonal area activities, parks, trails, boating, agriculture & farming, real estate, transportation and communication. Landman Realty llc is a proud member of the South Central Multiple Listing Service the SCMLS We understand that working together with our fellow collogue give you the customer and client the best opportunity to buy or sell your Adams county real estate. That's why Landman Realty is in both MLS's in our area to give you the best service as possible. 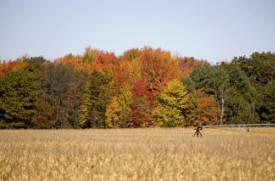 Wisconsin Real Estate Land for Sale, Area information, photos and links. 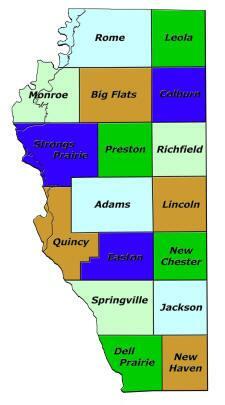 Information, Photos about Adams County, Wisconsin, its Townships, Parks, Lakes and more.